The combination of the brilliant color of its full grain leather and the rich texture of the hand hammered copper create a stunningly beautiful handcrafted bar stool. 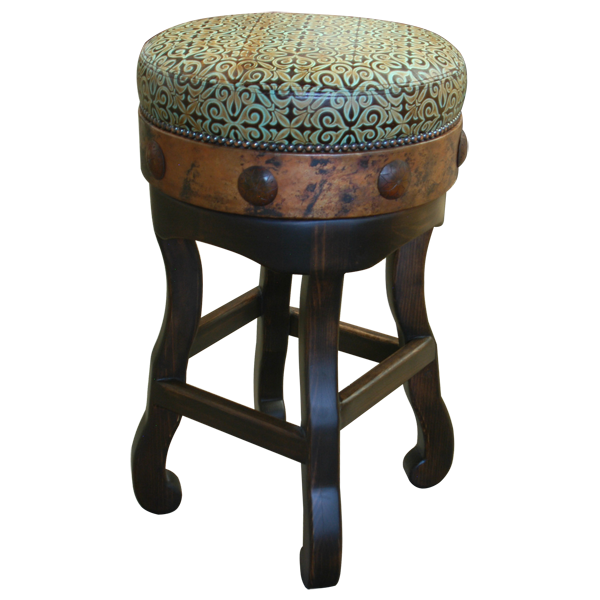 The circular top of the bar stool is upholstered in spectacular, turquoise colored, embossed full grain leather. 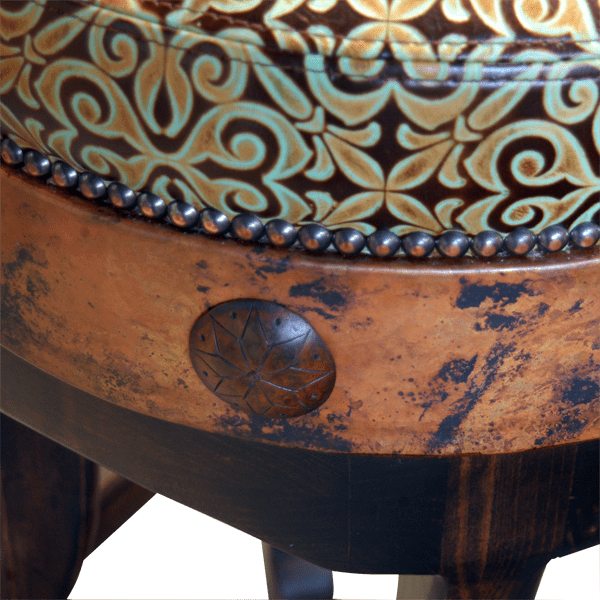 The bar stool incorporates Spanish colonial details including a copper band covering the entire base of the bar stool, and also hand forged iron conchos with a copper finish adorn the base. The bar stool rest on splayed legs, joined by crossbars at different levels. The upholstery is carefully hand tacked to the entire wood base by our skilled craftsmen. Both beautiful and durable, the bar stool is made with the best wood available. It swivels 360° and is 100% customizable.